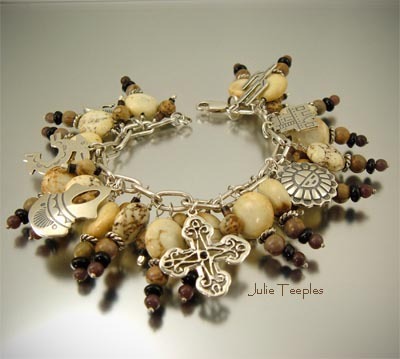 Southwestern Charm Bracelet "Guadalupe" is made with semi-precious white turquoise, picture jasper, landscape jasper, adverturine, onyx, and bone heishe. 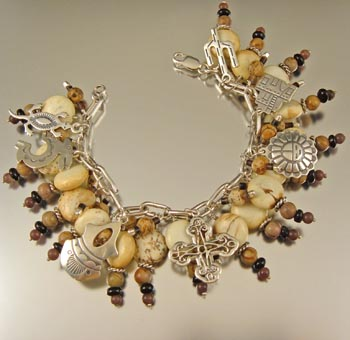 Everything else on this charm bracelet is sterling silver including the bracelet base. I've secured each silver charm by individually wiring them to the sterling silver bracelet. Others are secured using lockable jump rings. 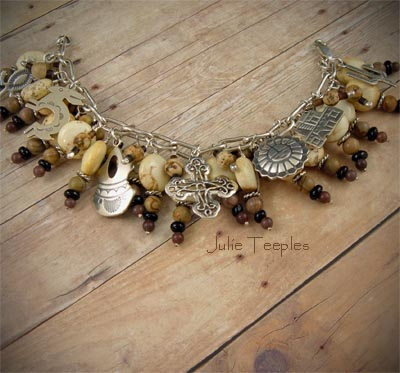 This Southwestern style bracelet is beyond words. It's accented with 7 sterling silver charms all substantial in size. Gecko, Rabbit, Pueblo pot, Southwestern style cross, Sun face, Pueblo and a Saguaro cactus make up the combination of charms. 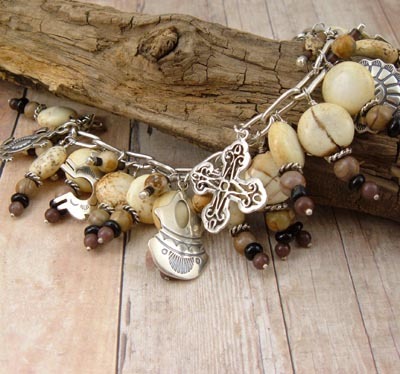 Warm and neutral colors of the Southwest were used in creating this bracelet which will complement any skin tone and make a great addition to your wardrobe; from jeans, boots and tee shirt, or a black cocktail dress this charm bracelet will carry it off. 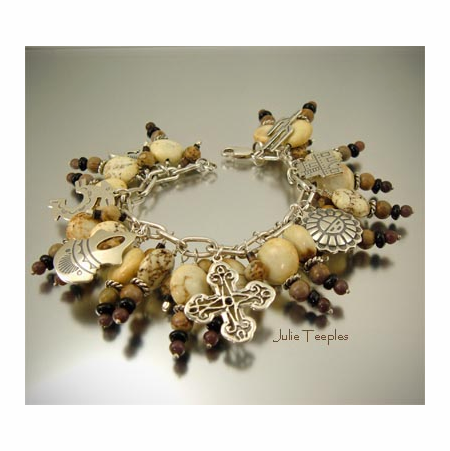 If you're looking for a beautiful gemstone bracelet that is breath-taking, stands out in the crowd, and has Southwestern flair you've found it! 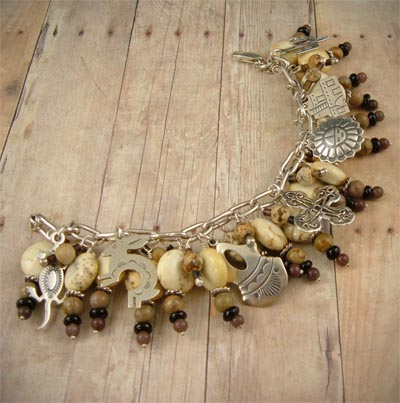 Fits an actual wrist size of 6-1/2" to 6-3/4"